We saw a moving van pull up in our cul-de-sac today, so we took over some "Welcome to the Neighborhood!" cupcakes and dinner. 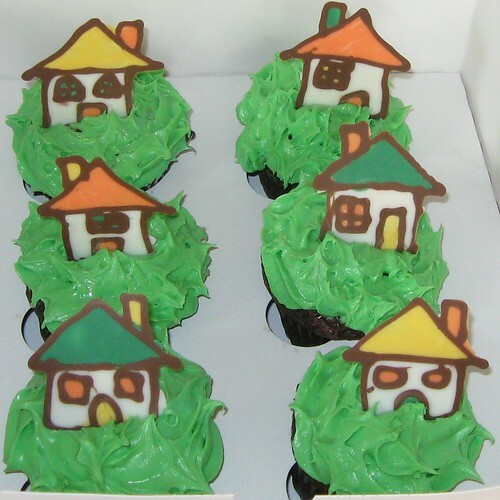 :) The "houses" are chocolate , chocolate cupcakes with chocolate ganache and cream cheese icing "grass"